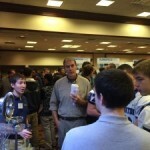 This year’s ACM Workforce Opportunity Fair & Trade Show at the Connecticut Convention Center was a great success! Eighty-eight member firms, six local colleges and over 600 students gathered to promote and explore careers in the aerospace industry. 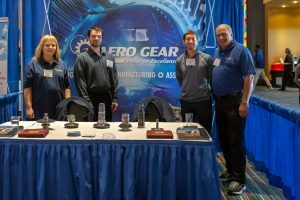 Aero Gear’s team was excited to have the opportunity to speak with local high school and middle school students about careers in manufacturing and to help break through stereotypes of the past and introduce them to modern manufacturing. 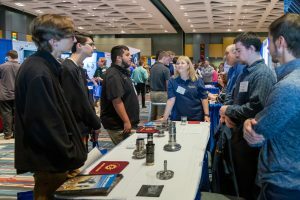 In addition to fostering the skilled workforce of tomorrow, the tradeshow’s afternoon events encouraged networking and strengthening the manufacturing supply chain here in Connecticut and southwestern Massachusetts, also known as The World’s Aerospace Alley!®. 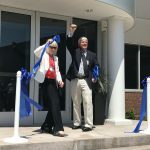 Visitors to the show, including prime contractors Airbus, Boeing, GE Aviation, Pratt & Whitney, Sikorsky and UTAS, were able to see the broad capabilities that this unique group has to offer. This year’s show featured addresses from ACM’s Executive Director, Paul Murphy and President, Pedro Soto, CT Dept of Economic & Community Development Commissioner, Catherine Smith and a spotlight presentation by Airbus’s Head of Strategic Sourcing Support, Guiseppe Marcheschi and Sourcing Manager Quentin Mounes, on the current industry outlook and business projections. Aero Gear was proud to participate in this wonderful event and are looking forward to next year!